It’s been another long hiatus since the last post here, but hopefully this one will make it worth your while. 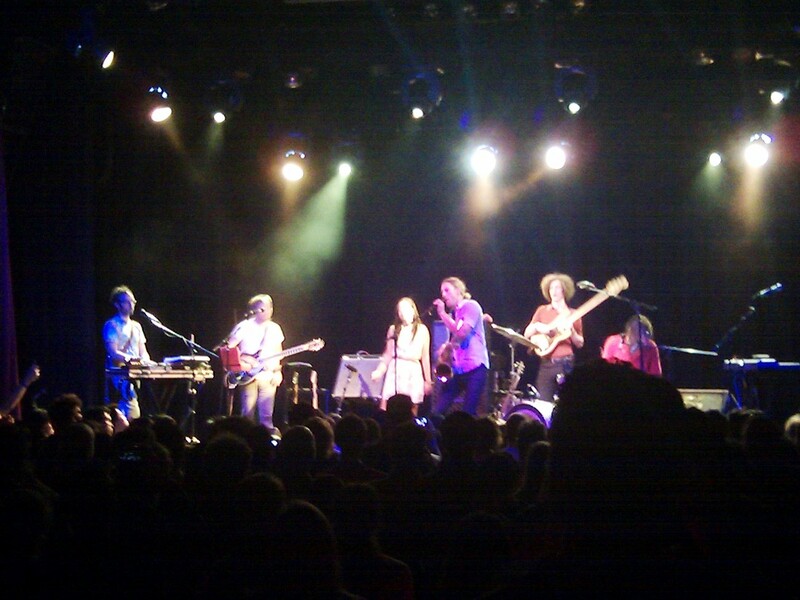 Menomena kicked off their latest tour here in LA last week. It was a tough night to pick what to see, since Savoir Adore was opening a show for Kisses at the The Echo (which TSOI’s Kevin attended) and Dum Dum Girls were playing at Los Globos. I had never seen Menomena, though, and I was curious to see just how their complex arrangements would translate into live performance — especially since they’re no longer a trio (Brett Knopf left the group at the end of 2010, following the release of Mines). They showed up with three touring band members and put on a hell of a show. Relentless rhythms are such an important part of Menomena’s music, and those were definitely in evidence here, maybe at the expense of the lush textures found on their albums. Probably the most fun was the introduction of local dancer/actress Charlene deGuzman, who performed a tap dance routine alongside a song from the new album, Moms, “Don’t Mess with Latexas.” It was silly, but it actually worked. It’s not clear whether they’ll try this in other shows on the tour, but it did lighten the mood for a band whose music, beautiful as it is, can be ponderous at times.